LOVE all the details, the colors…everything! It’s beautiful! What a cute idea. I just love the play on words and the colors are great. So cute…! WOW, I just spent an hour on your blog and I must say your artwork is amazing! I love finding blogs like this that make me want to lock myself up in my craft room and stamp away for days. Thanks for sharing all your work! I will definitely be watching in anticipation for more. 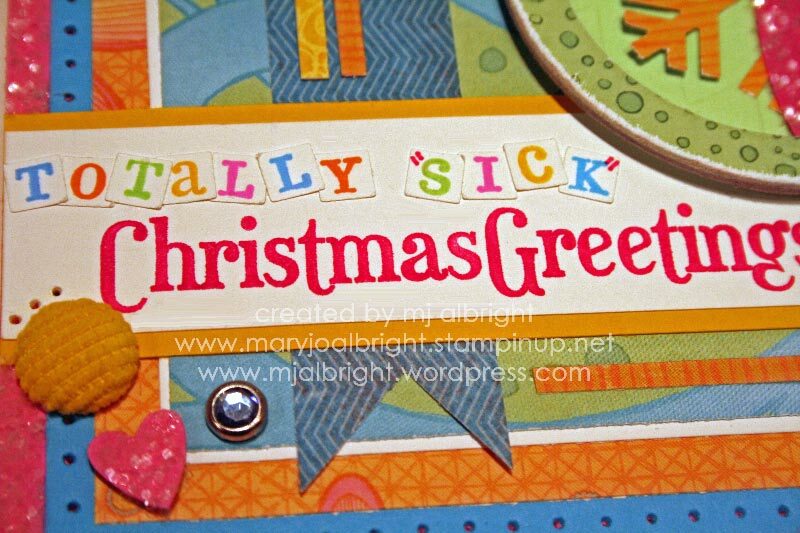 SICK indeed! Love it girl…. beautiful colors. It’s for sure to bring a sick smile! 🙂 Have a great weekend my friend! Yeah, what Beate said, LOL! Fabulous card for a teen, MJ — I know your daughter will totally appreciate it! 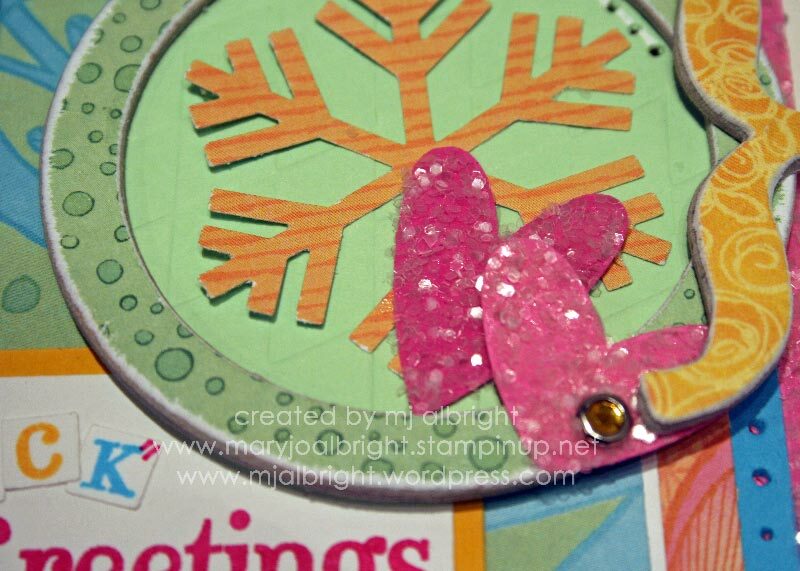 Love the bright colors & those great chipboard elements! I hope you have a wonderful holiday! Oh, this is fantabulous! I can tell you it brought a smile to MY face! Fun and beautiful and totally unexpected! This Is so totaly sick, my 15 YO would LOVE this…and truthfuly I LOVE it too! The glittered hearts are my favorite part! Love the bright colors, MJ. I’m sure your dd will love it. I think I’m too old to ‘speak the language’. LOL! Happy Thanksgiving!